If you’ve been looking for cheap and bountiful homemade gift ideas that won’t consume an entire day, then you should know that homemade sugar scrubs are one of the top diy holiday presents to give. They’re easy (seriously easy) and fun to make, not to mention cheap. Your kids can probably help you! Like having your own little elves. In the making, you can decide how big a batch to make, and how many people to divide the batch between, meaning you can spread the love a little wider without spending extra moolah. 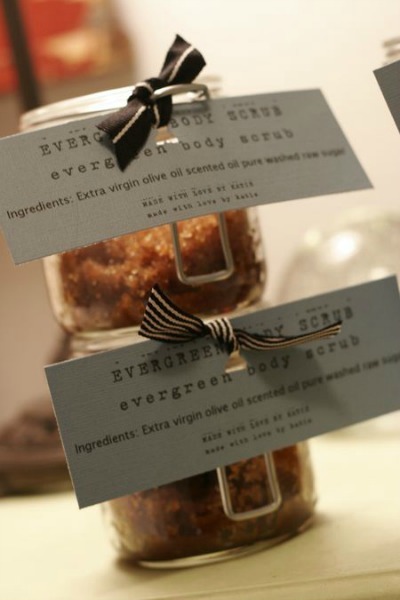 It’s also a craft versatile enough to make you feel like you can personalize each scrub, or at least a batch. Hopefully people like similar smells. And who doesn’t like holiday scents? There are some wonderful scents out there, and several in particular that make us think of Christmas, winter, warm fires, and happy memories. 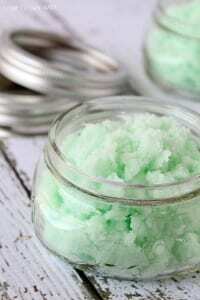 Last of all, sugar scrubs can be stored in various types of containers, allowing you to use up spare containers you aren’t utilizing, saving you more money. Whatever you store it in can’t be too hard to make look festive! 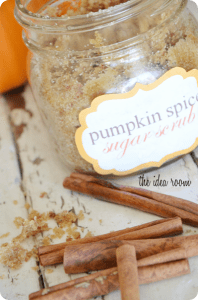 I was gifted with a brown sugar sugar scrub last year by my sister, and it felt so good to use on my dry legs and feet! Not to mention I smelled fantastic. 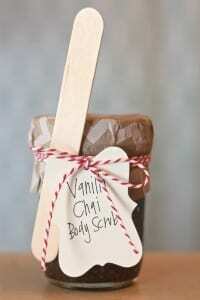 All this to say, if you want to gift me with some sugar scrub this year, I won’t say no. 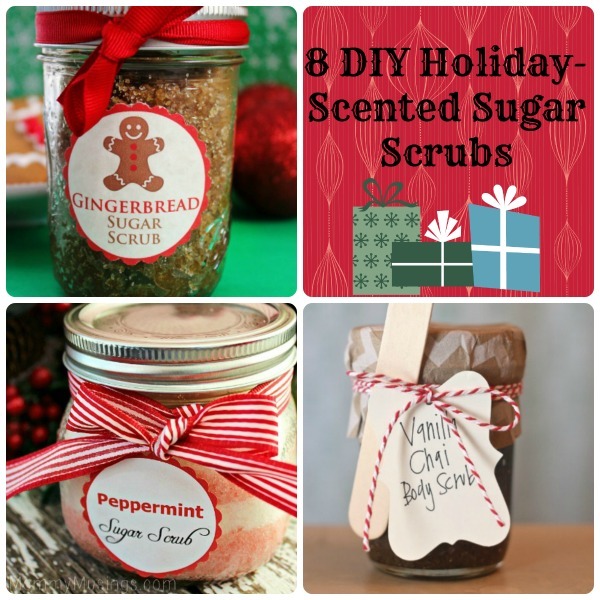 Using seasonal scents, here are recipes and directions for 8 DIY Holiday-Scented Sugar Scrubs! Happy gifting! Gingerbread is a warm, yummy smell. 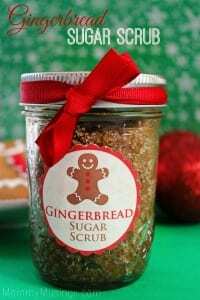 I wouldn’t mind smelling like a batch of gingerbread cookies, not in the least. Did you know that gingerbread actually has a long history? It’s uses can be traced back to the Middle East, where ancient Greeks and Egyptians made use of gingerbread for ceremonial purposes. It wasn’t until the spices made it to England that the term gingerbread began to look like what we know today. In fact, Queen Elizabeth I is credited as to having made the first gingerbread man, to delight visiting nobility. Who knew she baked? In the late centuries B.C., mint was so highly valued in Egypt that it was used like currency. Peppermint in particular was used centuries ago to enhance the memory. Vanilla beans were first cultivated in Mexico by the Mayans, and through their defeat, the Aztecs began to cultivate vanilla beans. From there, vanilla was introduced to Europe after the Spanish vanquished the Aztecs and discovered the fruit for themselves. The United States’ familiarity with vanilla is credited to Thomas Jefferson, who after a trip across the Atlantic, brought vanilla beans back with him in the late 1700s. The popularity of chai, on the other hand, began in India where it was widely drank as a healing beverage. Did you know that the tradition of carving jack-o-lanterns originated in Ireland? Before the huge immigration of Irish to America, jack-o-lanterns were carved from potatoes and turnips. When the Irish discovered the pumpkin in America, they began a whole new tradition. Mint is actually named after a river nymph, Minthe, in Greek mythology. In ancient Mediterranean and Asian regions, mint was a symbol of hospitality and welcome, and was offered as a sign of friendship to guests. 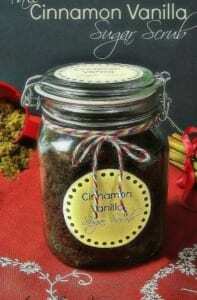 There are actually two different varieties of cinnamon: ceylon and cassia. The type depends upon where they are produced, and the strength of smell and flavor. Ceylon is the more expensive of the varieties, originates from Sri Lanka, and is sweeter and milder on the senses. Cassia is the cheaper kind we find in grocery stores, has a more intense smell and taste, and is produced primarily in Indonesia. In the ancient Middle East, around 2,000 B.C., cinnamon was often used in the embalming process by the Egyptians. Evergreen branches used to be cut down and brought indoors to bring cheer with their green-ness during the bleak winter months. They were a decoration of happiness and hope, keeping the residents in thought of the coming spring. Also, because they never turned brown or died during the winter, pagans believed that evergreen branches warded off evil spirits, and so branches were cut town and attached to door frames. 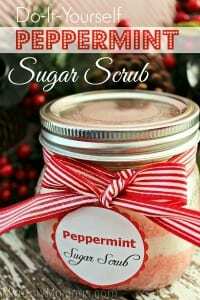 What is your favorite holiday-scented sugar scrub? 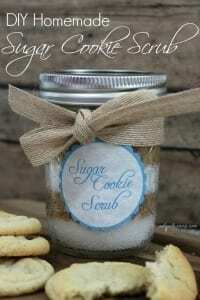 Have you ever made a DIY sugar scrub? I was surprised how easy it is!